Love Your Locals, 'Cause they Love You Back! 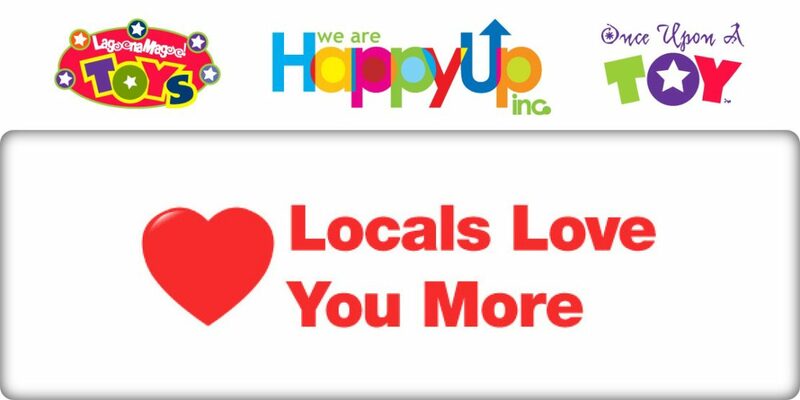 | Happy Up Inc.
Love Your Locals, 'Cause they Love You Back! We've always been proud to be a locally owned mom & pop shop. We've always encouraged our customers to shop locally and support their community businesses. When our current difficulties were made public, many of our fellow local businesses responded to our customers' call for help. They offered support, percentages of their sales, and helped to get the word out about our precarious situation. We are so very thankful to all of them. Afterwords Bookstore - New Location Open Soon! We were also blessed by the support of some locally operating online businesses. As soon as that list is compiled, I'll get it posted.